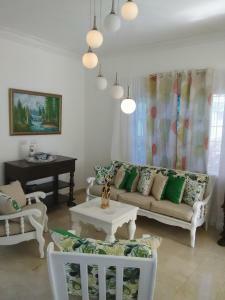 ﻿ Best Price on Apartahotel Guaraguao in San Pedro De Macoris + Reviews! Located on the main avenue of San Pedro de Macorís, Apartahotel Guaraguao offers modern air-conditioned studios with free Wi-Fi and well-equipped kitchenettes. Juan Dolio Beach is just a 10-minute drive away. 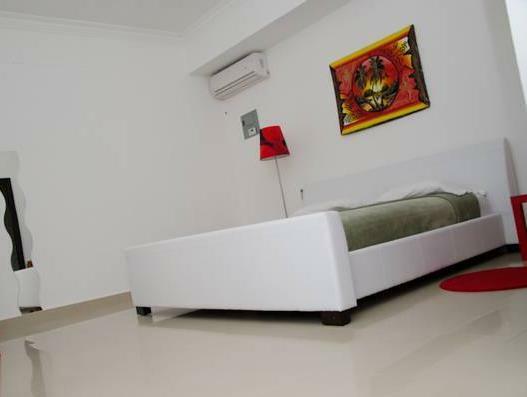 Each spacious Guaraguao studio has contemporary décor, a king-size bed, flat-screen cable TV and a DVD player. There is a private bathroom with free toiletries. Kitchenettes include an oven and hob. Restuarants and grocery stores can be found within a 5-minute walk of the aparthotel. Duarte Park and Primocentre Shopping Center are just 984 feet away. 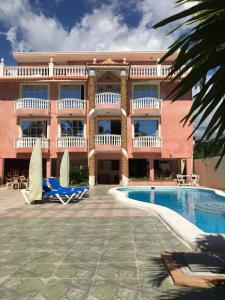 Apartahotel Guaraguao offers a 24-hour reception and free private parking for guests. You can drive to La Romana Airport in 25 minutes, while Santo Domingo Airport is a 35-minute drive away.